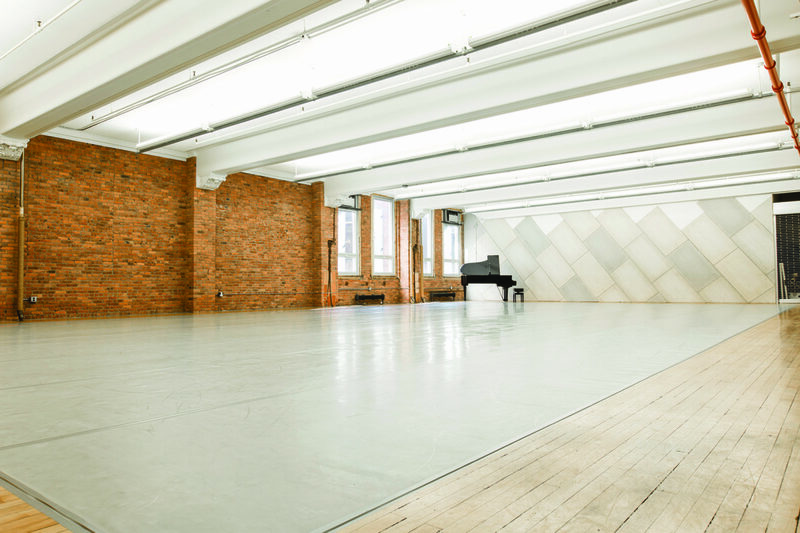 Studio 4, Gibney’s largest space, is an expansive studio designed for big ideas. 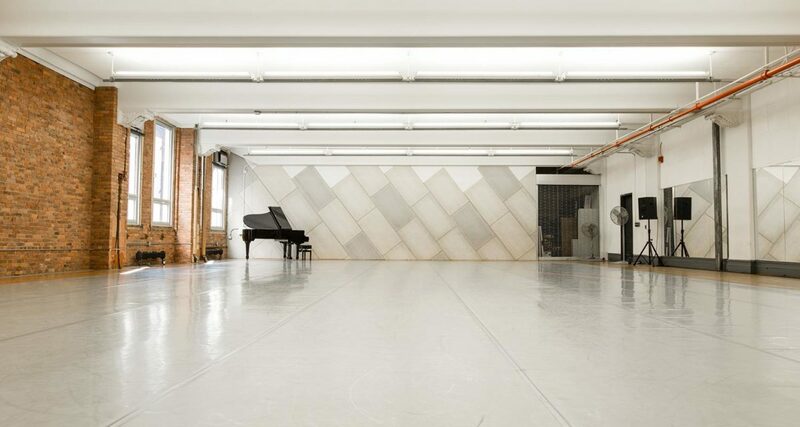 The space is ideal for large groups and production rehearsals. Located at Gibney’s 890 Broadway location in close proximity to the public kitchen and restrooms. The studio includes access to a grand piano, storage space, and extended hours. Use of shoes prohibited. At one time, the 5th floor at 890 Broadway was wide open from the eastern wall of Studio 4 all the way to Broadway. The space was then divided into smaller studios with the creation of Studio 4 and Studio 2, but Studio 4 remains Gibney’s largest space and carries on 890 Broadway’s long history as a home for theater. Studio 4 has been rented out by major Broadway productions such as The Lion King, Carousel, and Hello, Dolly! during their rehearsal periods.